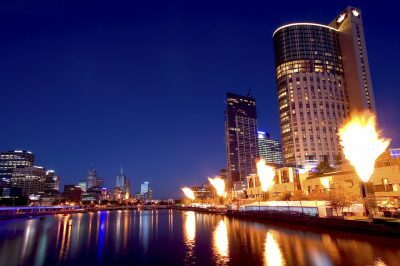 In the poker world, there is a lot happening every single day and it is no surprise to anyone when a major poker festival such as the Crown Melbourne Poker Championship is able to attract a considerable number of poker enthusiasts to the overall player pool. The latest event which reached its Final Table was the No-Limit Hold’em 6-Max Event, coincidentally the sixth one in the rich schedule of the poker festival. Event 6 was one of the eagerly-anticipated poker tournaments of this festival and as such there was a total of 243 entries registering for participation. This ranks the event as one of the most popular ones in the structure of the festival. With their joint efforts, all players managed to generate a total prize pool amounting to some A$121,500 which was more than enough to secure the generous payouts of the top 29 positions on the official leader board. Each of the players willing to make it all the way into the tournament had to provide a buy-in amounting to some A$550 which secured them starting chip stack of 10,000. Levels of poker action amounted to 30 minutes each giving participants enough time to showcase their true potential and operate with their chip stacks as they deem appropriate. Players who were short on luck and were eliminated sooner than expected had a second chance with the help of the re-entry option. The first player to make it to the cash payouts was Dominic Cavdar who wins a cash prize for the first time at this festival. He bagged some A$1,155 for his deep run. 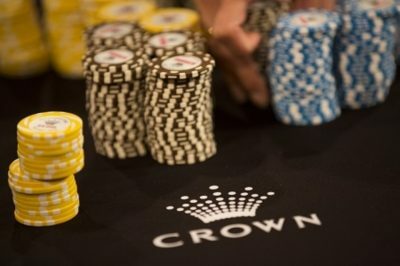 Among the participants of this event was Alex Lee who managed to make an impressive run during the recently finished The Star Sydney Championships, bagging a considerable amount of cash at the Main Event as well as other tournaments. This time he managed to reach one of the top positions on the official leader board and this reserved him a considerable payday. For the 12th position, he claimed a total of A$2,125, which is a sweet payday for a first cash prize in the structure of the poker festival. However, the final table was set for seven players only and those were the most proficient ones across the field. Many impressive participants climbed high but one made it almost all the way to the top, without reaching the heads-up duel. Ross Grammer claimed the third position on the official leader board which marked his 14th cash prize won at a Crown tournament. Bagging some A$11,845, he had a fair run in this tournament. The most memorable battle, however, was the heads-up fight between Srdjan Brkic and Khac-trung Tran, providing enough riveting action for everyone interested in. Brkic has a total of 81 winnings at events hosted by Crown and they have brought him some A$207,115. This 6-max event granted him his largest winning up to this point amounting to A$20,350, which was the consolation prize. Since he could not outplay the eventual winner Tran he had to settle for it and leave the first-place prize of A$30,975 to his rival. Tran has bagged cash prizes from Crown tournaments a total of six times up to this point, most of them last year. The very first day of this month saw the official start of this poker festival aiming to bring more to participants registering for action from near and far. In order to heat up the situation MPC Opening Event which features an A$100,000 guaranteed prize pool which could be entered with the help of a buy-in amounting to some A$300. Now, this Wednesday is set to welcome the Step 1 and Step 2 Satellite Shot Clock for the Main Event in addition to the A$5,000 High Roller Challenge Satellite event. Each of them is projected to attract a considerable player pool, as the culminating and premium events are preferred.